Civil Coping Mechanisms, 9781948700153, 276pp. What can people do together that we can't do alone? What can we discover in ourselves only by way of other people? 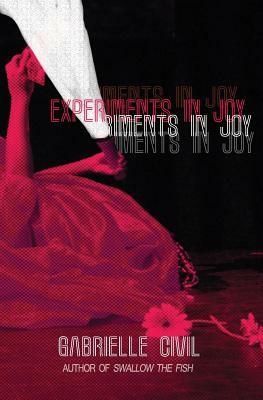 Gabrielle Civil's Experiments in Joy celebrates black feminist collaborations and solos in essays, letters, performance texts, scores, images, and more. Following her explosive debut Swallow the Fish, Civil now documents her work with From the Hive, No. 1 Gold, and Call & Response--whose collaborative Call inspired the title. The book also features her solo encounters with artists and writers, ancestors and audiences. Here you will find black girlhood, grief, ghosts, girls in their bedrooms, lots of books, dancing, reading, falling in love, fighting back, and flying. With lots of heart and the help of her friends, Civil keeps reckoning with performance, art and life.